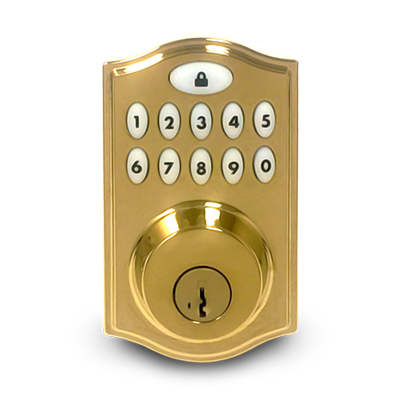 Lock/unlock doors remotely, assign entry pins to visitors & receive notifications of who’s coming or going. Expand your home security with these Kwikset electronic deadbolt locks. Lock & unlock your door from anywhere and get notifications when someone enters your home. This smart lock is both feature rich & easy to use. With keyless entry, one-touch locking, automatic locking after 30 seconds & a backlit keypad fumbling with your keys will become a thing of the past. You can assign up to 30 different user codes & manage them completely for increased security.